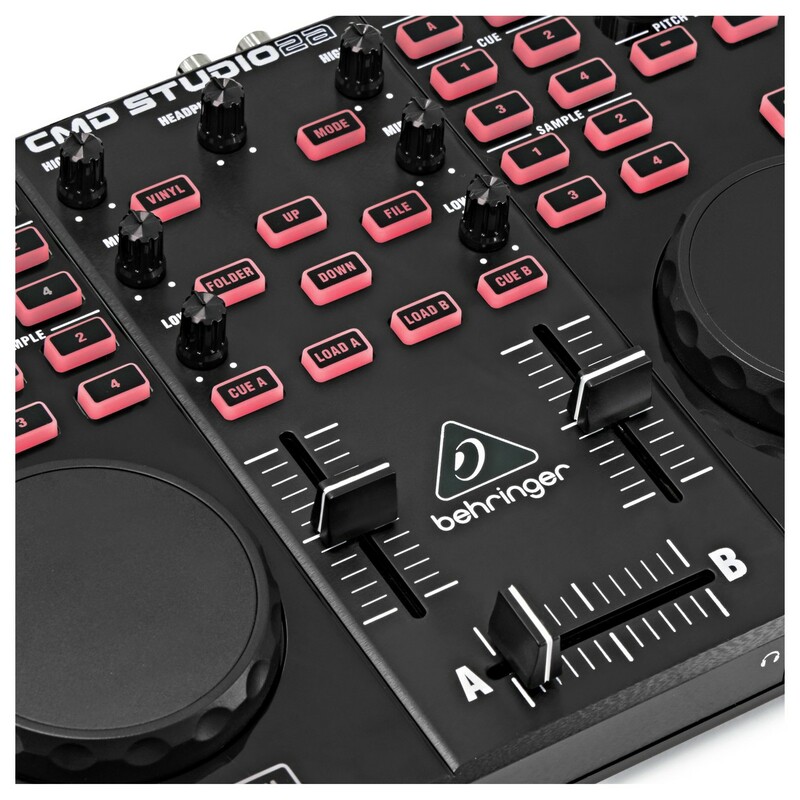 The Behringer CMD Studio 2A DJ MIDI Controller offers a complete and compact DJ set-up including 2 channel faders, 3-band EQ, cue, library navigation and track load buttons for a quality DJ mix/performance. 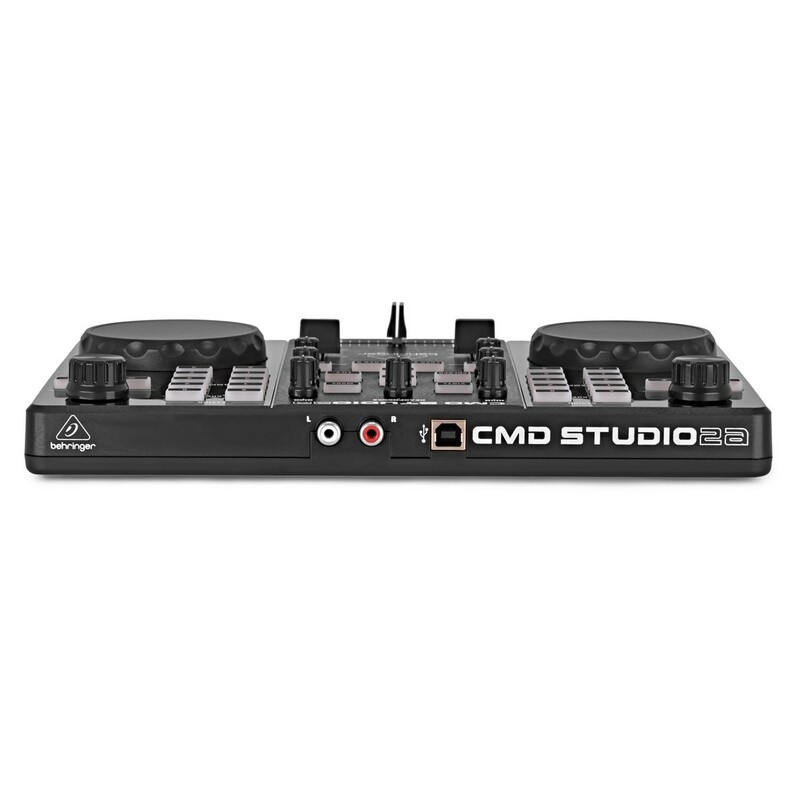 The CMD Studio 2A DJ MIDI Controller connects straight to your computer via USB enabling you to mix with your music on your computer/laptop. The versatile touch-sensitive jog wheels allow for pitch bending and natural scratching making it ideal for a beginner scratch DJ. 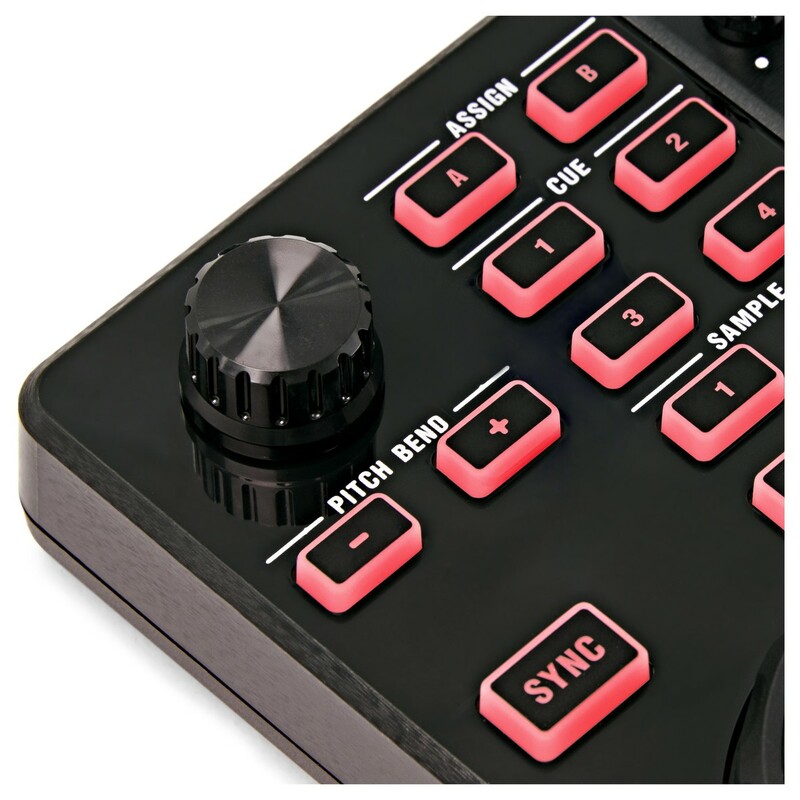 The Studio 2A DJ MIDI controller is perfect for a beginner DJ looking for an all-in-one portable solution to practice and start DJing. Conveniently the CMD Studio 2A is USB powered so there is no need for any external power, the DJ controller can be connected straight into your laptop for you to start DJing. Once plugged in the mixer enables you to mix with your digital music on your laptop with no need for extra cables. The CMD Studio 2A is designed to be highly portable allowing you to take it to anywhere with its slim tabletop design. 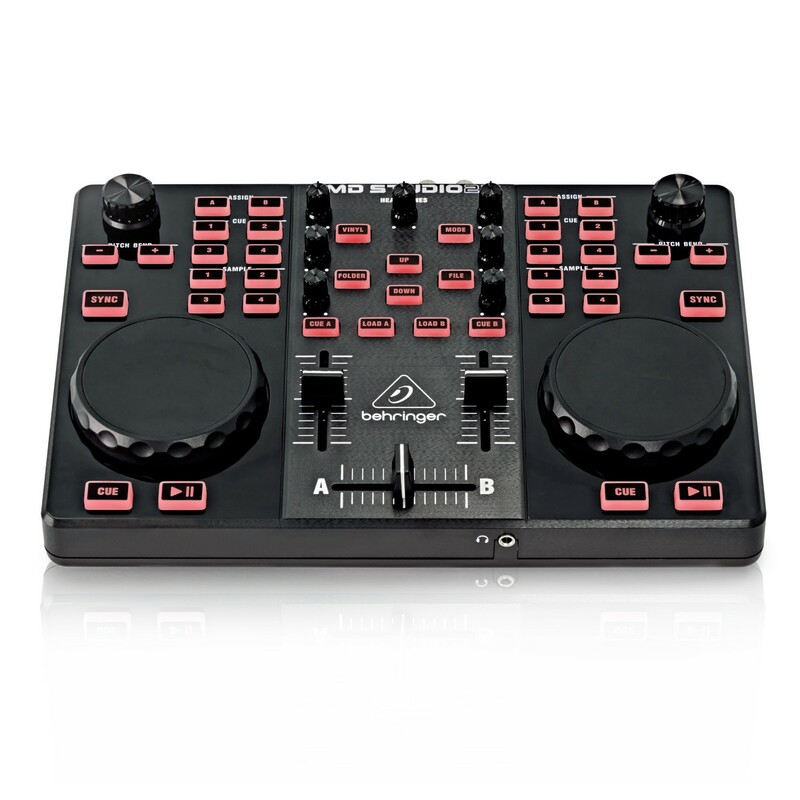 It is a low cost DJ control solution for someone who wants to start DJing without the cost of really expensive gear. The CMD still provides all the functions you need to create seamless mixes. 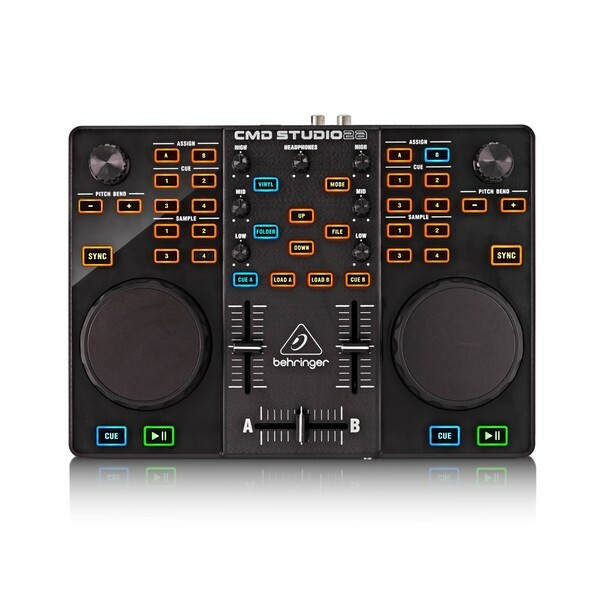 The CMD Studio 2A gives a complete package in a compact dual-deck controller with smooth, professional touch-senstive jogwheels, back lit buttons for night time DJing, a complete mixer section featuring crossfader, 2 channel faders and 3 band-EQ all to get that clean transition. Also featured is built-in library navigation and track load buttons making it easy to quickly find that next track to keep the party going. 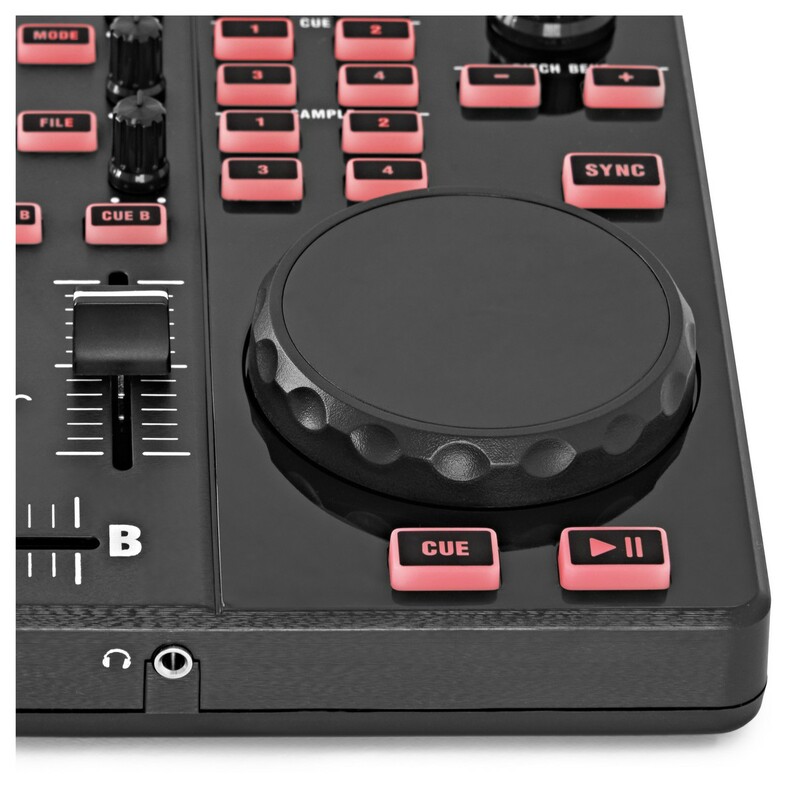 The CDM STudio 2A provides all the function you need for a DJ mix including backlit buttons making it easy for you to DJ in the dark, whilst the touch-sensitive jog wheels, crossfader, and channel faders provide fluid feel and make you feel right at home with the DJ controller.